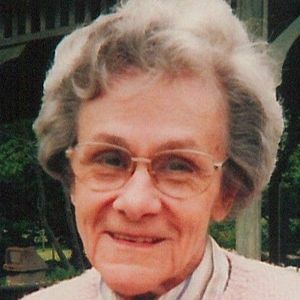 Lois Marie Mosley (nee Frey) 85 of Westlake, formerly of Canton, passed away peacefully and surrounded by family on Saturday, April 13, 2019. She was born September 10, 1933 to parents Elmer and Opal Frey. Lois held various positions outside of the home and enjoyed being a homemaker and a mother to her children. Her faith in God was her guiding light. Later in life, she enjoyed volunteering, word search puzzles and spending time outdoors. She is survived by her beloved children, Celeste Mosley and Drew Mosley, and her dear nieces and nephews. She is preceded in death by her parents, Elmer and Opal Frey, and brothers, Lt. Col. Eugene Frey (Janice) and Denver Frey (Mary). In lieu of flowers, memorial contributions may be forwarded to the Hospice of the Western Reserve PO Box 72101 Cleveland, Ohio 44192. Add your thoughts, prayers or a condolence to Lois' guestbook.